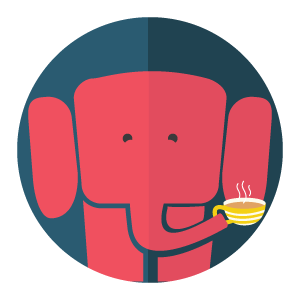 after meeting its initial goal of 10,00,000 INR. Systematic music study has proven positive effects on young minds. Unfortunately, such education has been accessible only to the privileged few in Bangalore. 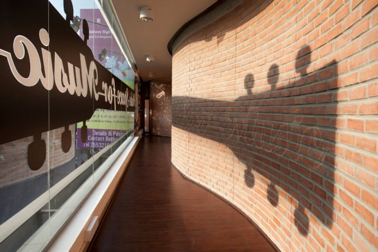 The ‘No Wall Too High’ campaign aims to bring meaningful music education to underprivileged youth in the city. We are trying to give underprivileged children the benefits of music education And we are doing it at just 56 INR per kid per month. Fund this campaign & change the life of these kids. 5600 INR from you for example impacts 100 kids. Sounds like music to your ears? Read more about this exciting initiative of ours and please crowdfund it! 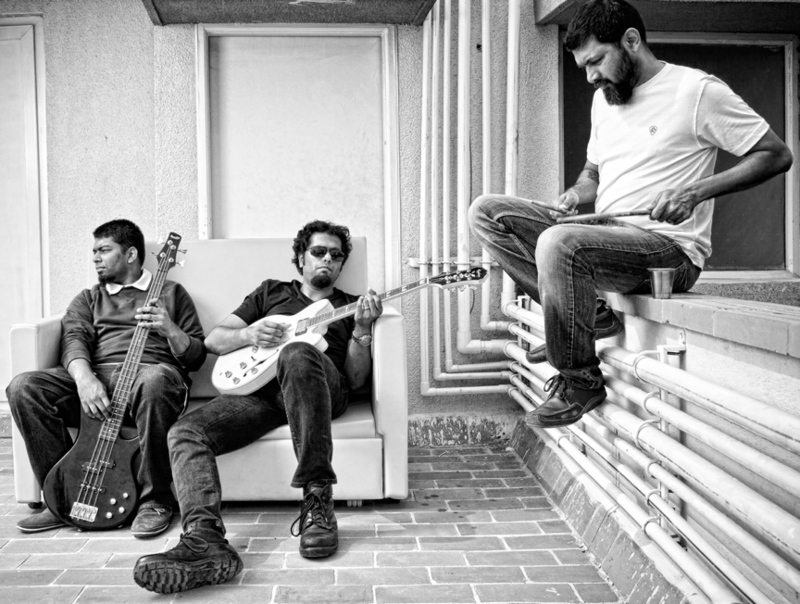 This is an initiative of Taaqademy, a music school established by pioneering Bangalore band Thermal And A Quarter (TAAQ). The initiative aims to bring meaningful music education to around 1500 underprivileged youth in Bangalore. This will enable them to improve their lives and contribute to their communities. Later on they can choose to teach music to other kids or become accomplished music performers themselves. Making a career out of teaching music for sustained livelihood. 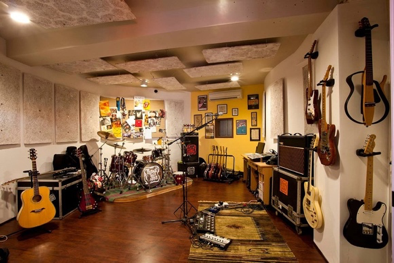 Record their own music in our studio. Be a part of the academy. Systematic music study has proven positive effects on young minds. Unfortunately, such education has been accessible only to the privileged few in Bangalore. The ‘No Wall Too High’Campaign aims to bring meaningful music education to underprivileged youth in the city. 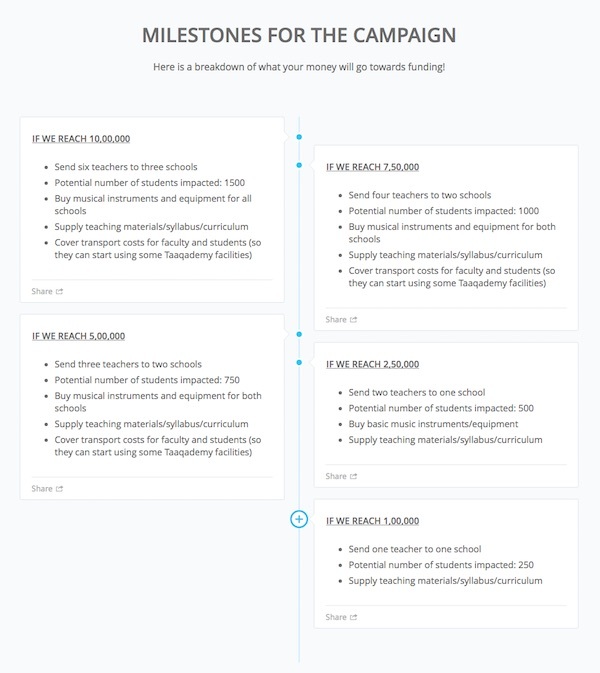 To ensure sustainability, the campaign will identify key talents from the communities it begins work in and train them to use standardized tools, techniques, material and equipment. This will enable these individuals to contribute to their families and their communities. 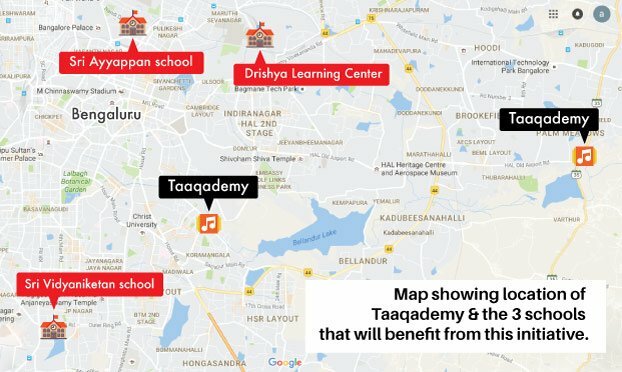 Taaqademy currently has two centers in the city - Koramangala and Whitefield – and around 400+ students. It runs full-fledged Music Programs in two of the city’s premier schools, Inventure Academy and Legacy School, and conducts music classes at The Bangalore Club. Taaqademy has also established a sustainable ecosystem for music and musicians – it currently employs around 35 local musicians who are now able to pursue full-time careers in music thanks to their jobs at Taaqademy. PIC: Images of our academy in Bangalore! With two faculty members being sent once a week to three identified partner schools catering to underprivileged children, we will be able to establish a great baseline standard for students at these schools. We will provide teaching aids/materials, worksheets, and musical instruments to each school. At the end of Year 1, we will also have identified key individuals who will be groomed to continue the work of teaching music in a systematic and organized way. Sri Vidyanikethan School - J.P Nagar, Bangalore. Sri Ayyappan nursery, primary & high school.- Benson Town, Bangalore. In 2009, TAAQ worked along with Janaagraha on a project to inspire Indian youth to participate in the political process, just ahead of the General Election. TAAQ created a special song and video and went on a five-city tour, taking the message to young people in Bangalore, Chennai, Kolkata, Delhi and Mumbai. News channels and fledgling Social Media at the time were abuzz with discussion and commentary on the campaign. In the wake of religious intolerance and several attacks against women in Karnataka in 2010, TAAQ conducted the ‘One Small Love’ campaign, bringing together prominent writers, artists, intellectuals and activists in Bangalore city on a common platform. A song and video were also released. Following the debacle of the National Games in 2011, TAAQ launched the ‘Kick Out Corruption’campaign, inviting young filmmakers from around the country to make a music video for the TAAQ song ‘Kickbackistan’. Prominent Indian musicians such as Vishal Dadlani and Ehsaan Noorani came on board as promoters and jury members to pick the best entry and award a prize of Rs. 1.5 lakh to the winner. Riskhikanth Somayaji, a student of Engineering from Bangalore, won the competition. Apart from this TAAQ has contributed funds to natural disaster relief in the country from as early as 1999, through self-organized musical events. Speaking of TAAQ - we are not activists. We are not an NGO. We are musicians and artists responding to our social and political environment in the way we know best – creating music and art around what we experience. 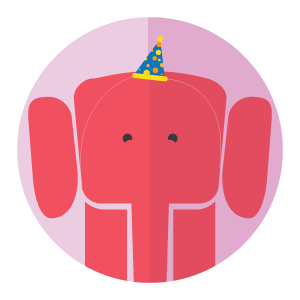 Through this, we hope to use our influence to broaden perspectives, offer new ways of thinking, and inspire change for the better, no matter how small. 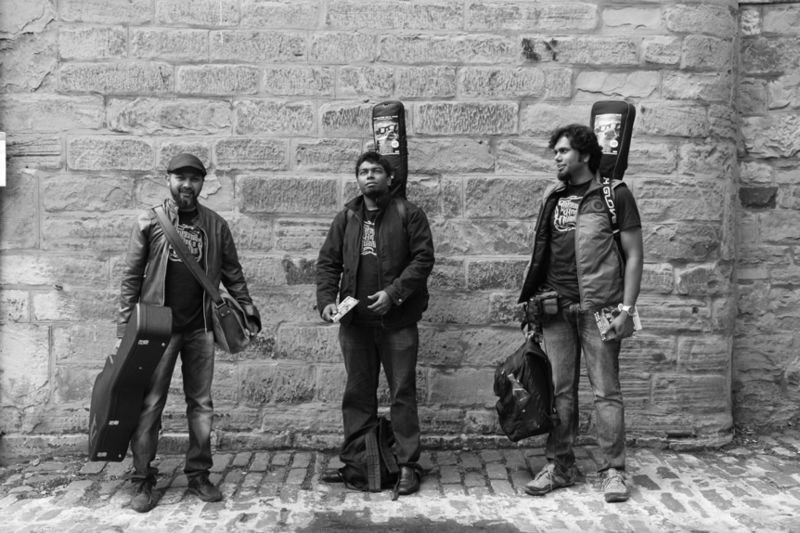 Taaqademy has become one of the ways in which we contribute to the community of musicians and music lovers in Bangalore. With the No Wall Too High initiative, we now hope to bring the value we have seen in music and music education to all strata of our society. Thank you for your generous contribution. Collaborate with TAAQ and create a song (open to musicians/non-musicians). Song can be included in the album (Working Title) No Wall Too High 2, to be released in 2017. 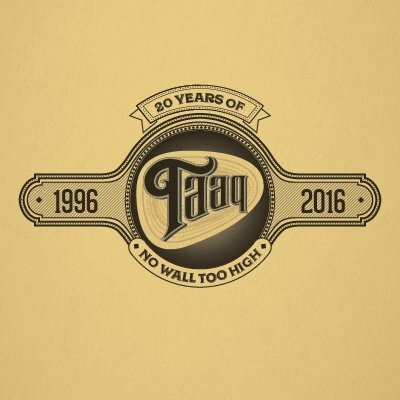 Get on the VIP guest list for ANY TAAQ gig at any venue in Bangalore for 1 Year. Your name will be mentioned on plaques mounted on instruments that will be kept at the schools.